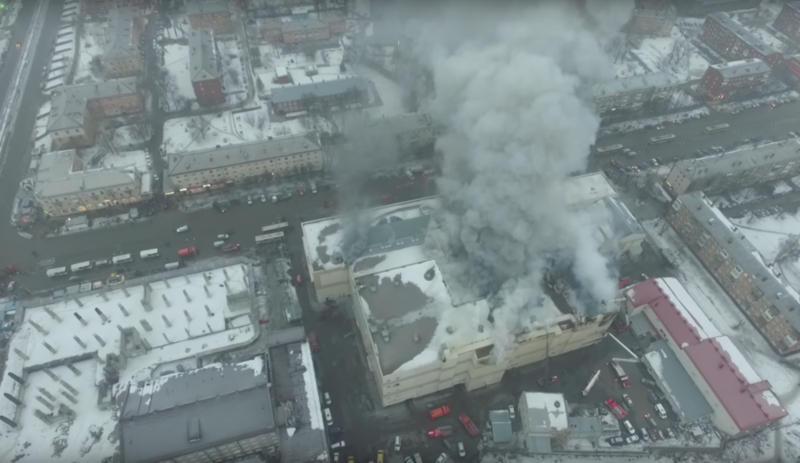 CCTV footage has emerged online showing the moment when one of the deadliest fires in Russia’s recent history ignited, engulfing a crowded shopping mall last weekend, leaving at least 64 people dead. 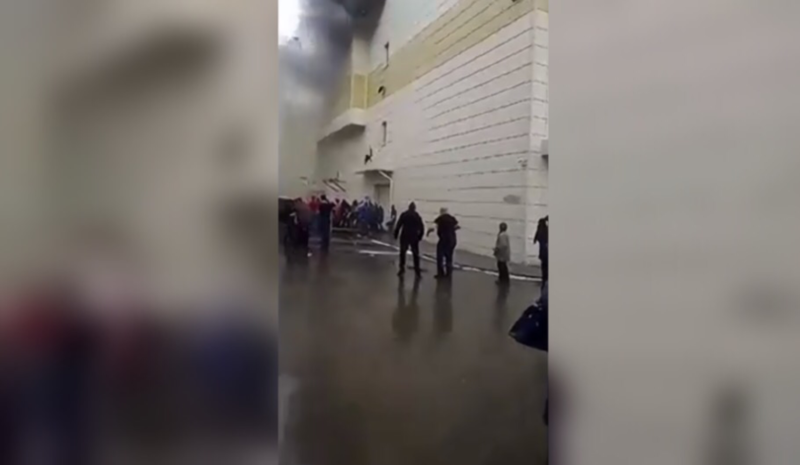 Footage published on social media purportedly shows the top floor of the shopping mall in Russia’s western Siberian city of Kemerovo, where the blaze started on Sunday afternoon. 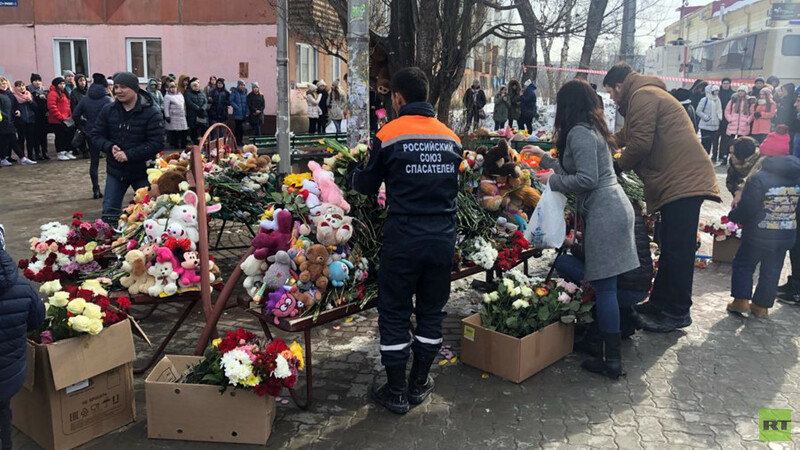 A children’s playground is visible in the background, which eventually becomes engulfed in flames. 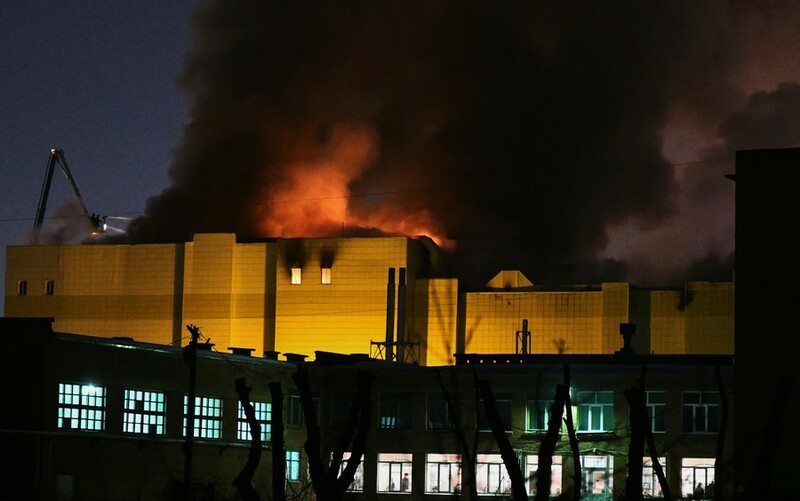 People, including some children, can be seen running as thick smoke fills the premises. 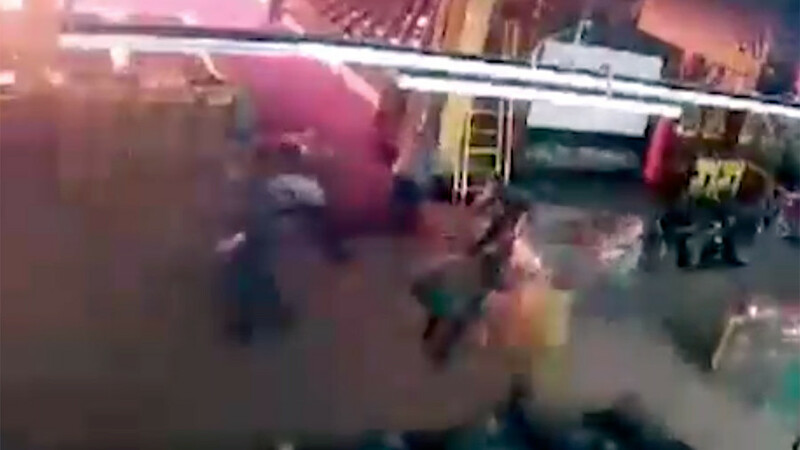 The video supports one of the early accounts of the incident, suggesting that a trampoline caught fire as a result of a child allegedly playing with a lighter. 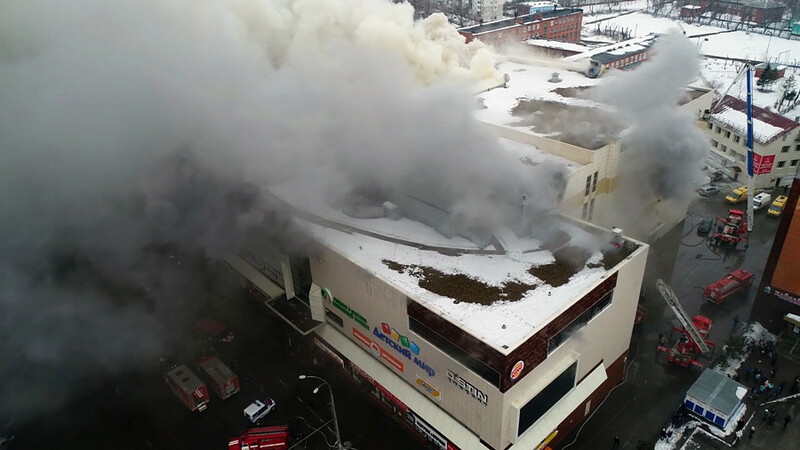 However, no official version of events surrounding the blaze has been announced so far.